Tornado Creative is a Los Angeles based, brand-building agency established in 1992. We position our clients through a process of strategic thinking and storytelling. Our creative team generates conceptual, memorable work that engages, connects and resonates in today’s fast changing and competitive marketplace. 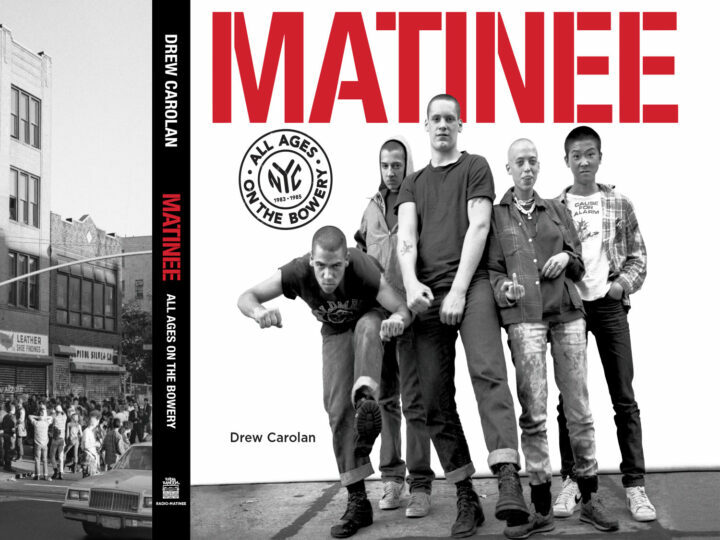 Richard Avedon’s assistant and native New Yorker, Drew Carolan, documents the NYC punk rock scene at CBGBs from 1983 through 1985. Join us for an exhibition of the photos and a book signing on Set. 27th, 2018 in the Helms Design Center. The Von Dutch Book is Still Alive! The mother of all Kustom Kulture books is back in print! The Art of Von Dutch is a massive, 420-page, 5-color, coffee-table-bustin’, comprehensive catalog of the multi-faceted artist Kenneth “Von Dutch” Howard. This treasure-trove is packed with over 1,000 photos and illustrations, 15 essays, lots of amazing stories, and a detailed timeline documenting the artist’s life. To order, visit our online shop or call 310.202.1020. 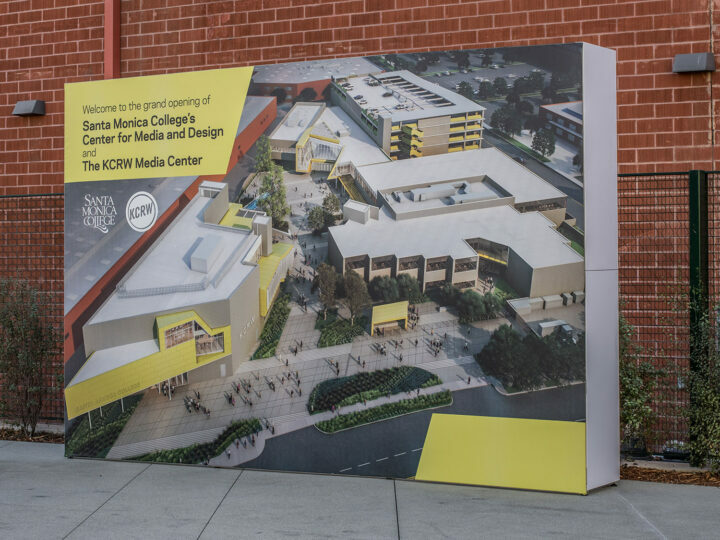 The newly designed KCRW Media Center by architectural firm Clive Wilkinson was recently revealed to supporters on Saturday, December 2nd, 2017, at Santa Monica College’s satellite campus located on Stewart St. north of Olympic Blvd. I've worked with Al and Jeff on about seven projects now, and keep coming back for more! They never fail to deliver beautiful work, the feedback I get on packaging is tremendous, not to mention they are the nicest people to work with. It’s a special gift to work with a team who can take the tiniest seed of an idea or a vague sketch of an abstract concept and not just articulate it – but render something that feels like a refined giant step in your own thinking. Al and Jeff have a command of not just their craft, but a deep intuitiveness and sensitivity that confirms their commitment to each client and each project. That’s what fully engaged collaboration should feel like and that’s what they bring – every time. I don’t know why they’re called Tornado. They’re fantastically fun, helpful, constructive, creative, and deliver the goods – which is not very tornadish if you ask me. Maybe they want to be dark and mysterious? Ok, I’ll give them that. Tornado - fonts of creativity on-demand AND, by the way, also super dark and mysterious. In working with Jeff and Al, I conjure a smile and good fun. You both bring such authenticity and good design to everything project I present to you. I am lucky, and the legacy of the Helms Bakery is superbly fortunate, to have Tornado on-board. Toot - toot! Walter Marks IIIWalter N. Marks, Inc. True talent, indisputable creative and unfaltering integrity, is what makes Tornado a world class leader. Jeff and Al have fostered a reputation based on their dedication, vision and genuine respect for their craft and their clients. These days, anyone with a computer and some free fonts downloaded from the internet considers himself a designer. That's why I was excited to work with Tornado, because I wanted to work with real designers, people who knew what they were doing. The book they designed, Night of the Tiki, turned out beautifully. The attention to detail and the graphic ideas that Al and Jeff contributed made the book a real stand-out. ©2019 Tornado Creative · Designed and built in Los Angeles.